Dolphins Drift at Surf 414 - Dolphins Drift at Surf 414 Surf Condo N.C.
Gaze at the ocean and see only horizon. Ride some waves or take in a round of golf. Serenity awaits you at Dolphins Drift, on Topsail Island's Surf City, N.C.
Our 750-square-foot vacation home is privately owned (building 4, No. 414) as part of the Surf community in Surf City. You'll love our affordable accommodations, including luxury bedding and a fully equipped modern kitchen, comfortable furnishings and a balcony to take it all in. Our property has complementary WiFi. 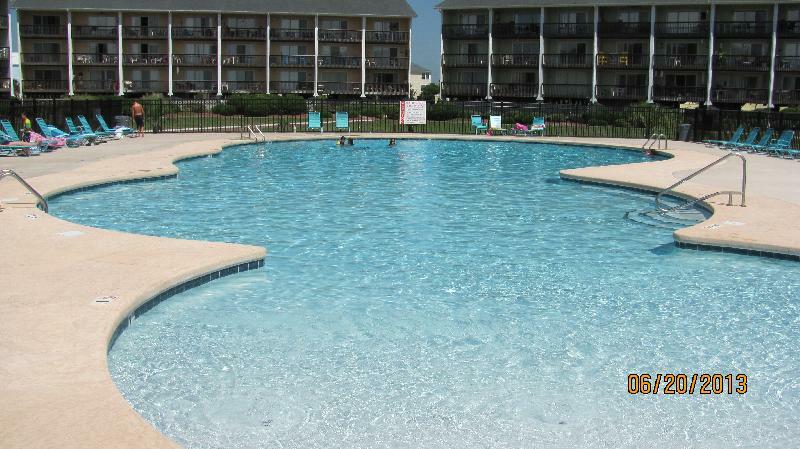 Not to mention our capacious in-ground pool, for adults and kids alike. With rental rates about half that of nearby "tourist" beaches, our home provides more vacation value for your money -- not to mention beach memories galore. Please browse our Website to learn more about Dolphins Drift and all that Coastal Carolina has to offer. Extended stays are available on request.